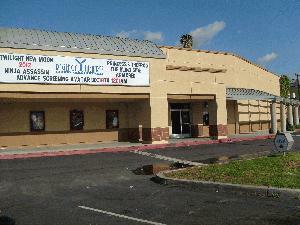 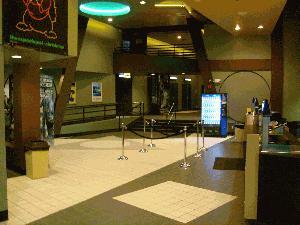 All films starting at 6:00pm and later are a great deal for you and a companion! 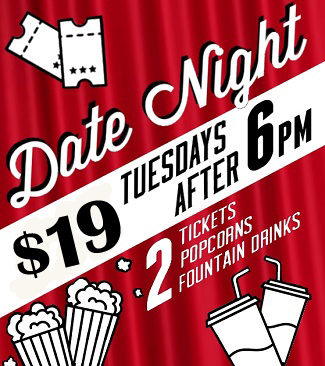 You and your date get 2 Admissions, 2 Popcorns and 2 Sodas for only $19.00! 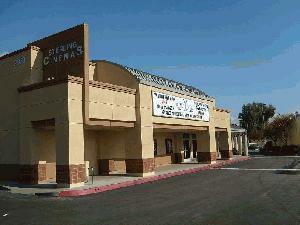 Every Tuesday, Regency Sterling 6 Theatre is the place to be! 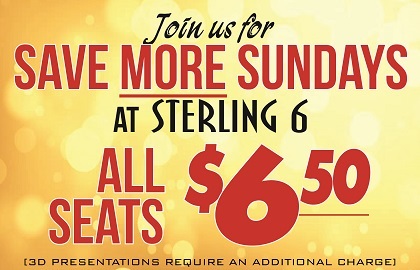 Sunday Special $6.50 All Day for Everyone! 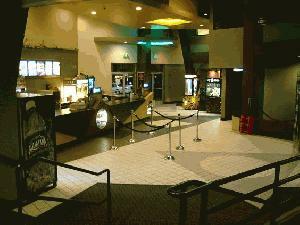 Theatre opens 15 minutes prior to the start of the first film and closes 15 minutes after the last film starts.